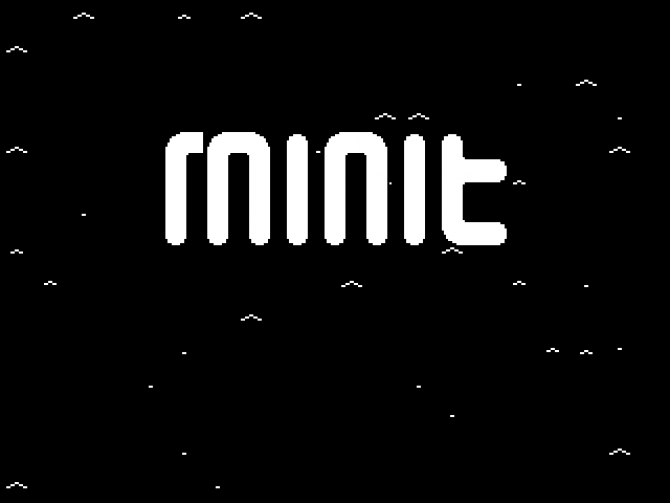 MINIT, the newest offering from publisher Devolver Digital, begins without any semblance of pomp or ceremony. There are no opening cutscenes or congested menu screens to sift through. Upon starting the game, you simply wake up in a house with no directives. If you wander outside, you’ll quickly find a cursed sword that kills you every minute. 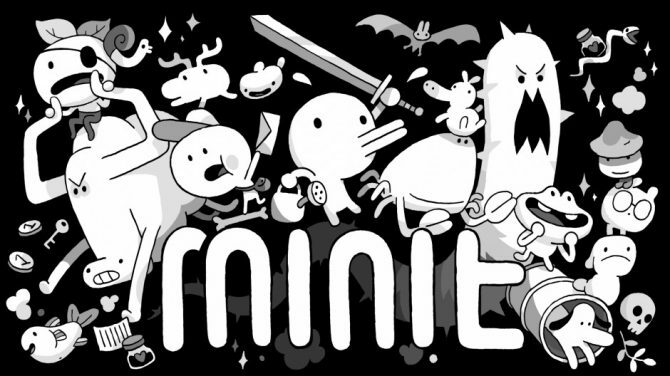 Developed by a coalition of game designers (notably including Jan Willem Nijman of Vlambeer and Horizon Zero Dawn contributor Kitty Calis), MINIT plays as a top-down adventure game that kills the player after every sixty seconds of gameplay. To complete the game, you must solve a series of puzzles, traverse the overworld, and interact with several different NPCs. 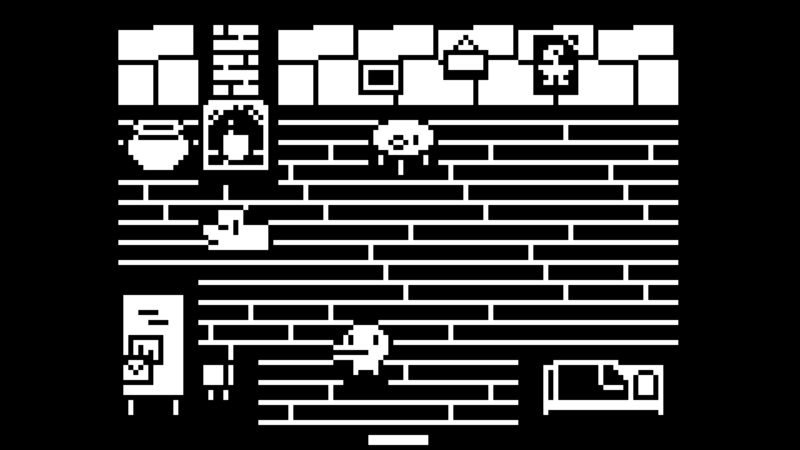 MINIT’s design philosophy fundamentally subverts all of the expectations that come packaged with modern games. In a market saturated with open world and service-type games, MINIT is a welcome digression from the constant barrage of AAA games that demand dozens (if not hundreds) of hours from players. 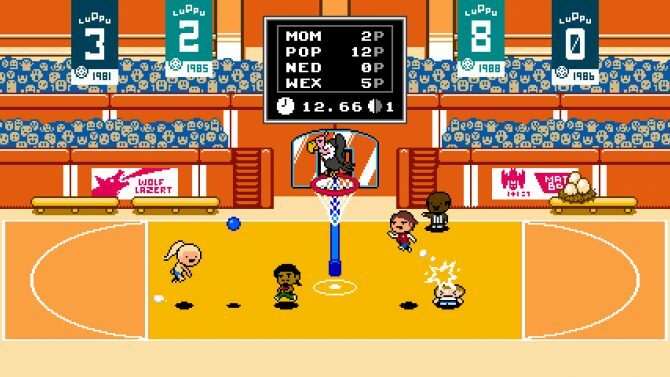 These sprawling games often test your time management skills not only inside the confines of the game but also outside of them. How many more rounds of PUBG can I fit in before it’s time for bed? How much time should I spend farming Diablos’ in Monster Hunter: World if I want to squeeze in a few matches of Rocket League? How am I supposed to play all of these new games when I’m still playing Day of Defeat all of these years later? These are all inherently common questions that we’re forced to ask ourselves when gaming and MINIT answers them effortlessly. With its noted absence of looting, grinding, or leveling up, MINIT only asks the player to properly manage their time within the confines of the game. Following the style of other The Legend of Zelda-esque games, your first few minutes are going to be spent figuring out the limitations of your character. There are trees you are unable to chop down, crabs you are unable to slay, and boxes you are unable to push. 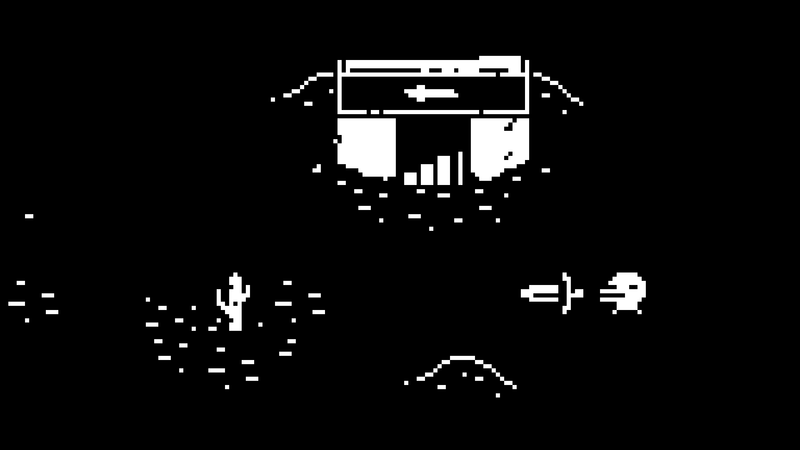 To succeed in MINIT, you‘ll need to identify these obstacles, figure out how to manipulate or maneuver around them, and create a game plan. Each sixty-second life requires you to critically think about what you’re trying to accomplish and deliberately carry it out. Whether you’re trying to explore a new area, talk to an NPC, or revisit a familiar area after obtaining a new item, MINIT politely reminds you that the clock is ticking. For example, at one point in MINIT, an NPC tasked me with finding special wood that could be used to craft a boat. Other than telling me that the wood could be found near snakes, I was mainly left to my own devices to locate it. I immediately respawned and went to a familiar underground tunnel that I knew snakes inhabited. No dice — the wood wasn’t there. Upon respawning a minute later, I figured that I might have been overthinking the task — the wood was probably close to the initial NPC that I spoke to. Swing and a miss — the wood wasn’t there either. Grasping at straws, I decided to spend a minute walking in each cardinal direction. Eventually, after a few lives of traversing areas that I previously explored, I found snakes looming next to an odd looking tree. Somewhat surprisingly, this stringent time limit never feels unforgiving or damning. There are no stakes, no set number of lives, and no penalties for repeatedly dying. The real, looming dread of The Legend of Zelda: Majora’s Mask (a game with a similar looping mechanic) is non-existent in this game. The fate of the world doesn’t rest in your hands — if you mess up you simply dust yourself off and try again. Throughout the three hours it took me to beat the game, I never felt pressured nor compelled to pick up the pace. While MINIT is undoubtedly ripe for the speedrunning community, it allows players to enjoy a slow burn if they’re seeking one. This sense of levity is heightened by MINIT’s unique level design, art style, and music. Areas are small enough to easily navigate and explore, but intricate enough to hide secrets. While you may sometimes feel like you’re rushing somewhere, you never feel like you’re racing anywhere. The pixelated landscapes feel mostly idyllic and calm, especially when coupled with composer Jukio Kallio’s pulsing, melodic synthesizers that make up most of the overworld’s soundtrack. Kallio’s charming tunes simultaneously grant the game a semblance of modernity and nostalgia. Similar to Earthbound composer Chip Tanaka, Kallio skillfully blends roughened synthesizers (reminiscent of the 16-bit era) with playful melodies and pounding rhythm sections when the atmosphere warrants. Despite the game’s monochromatic art style, the level design and musical motifs come together to make each area vibrant and unique. Hanging out at home with your dog feels different from wandering around the desert or talking to the man who owns the sneaker shop. These diverse locations and the zany, motley NPCs that inhabit them grant the overworld a sense of scale. Although it’s not uncommon to run through several different areas in a single life, MINIT takes excellent care to make sure each area feels distinct. 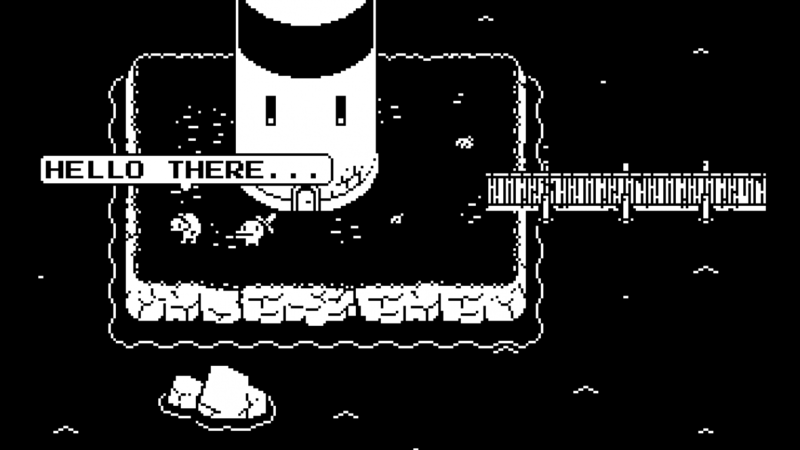 MINIT is a game in the purest sense of the word; it harkens back to a time when solid gameplay mechanics and genuine joy were the sole cornerstones of design philosophy. It’s charming, beautiful, and outlandish in all the right places. While MINIT offers around two and a half to three hours of gameplay, it provides a substantial amount of replayability to speedrunners and folks interested in the game’s New Game+. However, it bears repeating that MINIT’s length is not to be condemned, instead, celebrated. Whether you’re a fan of short indie games or in need of a palette cleanser from a AAA game that (seemingly) never ends, MINIT is worth playing. Travis Verbil is a contributor at DualShockers. Outside of writing, he is a musician from Queens, NY. He enjoys the New York Mets, tabletop gaming, and Donkey Kong lore.